There are really only two main reasons to play at an online casino in the first place – to enjoy the thrills of casino gambling; and to win money! Bonuses can help you do both those things, but better. While every online casino will have terms and conditions to direct you in how you use your bonus money, finding a welcome offer or other bonus type that suits you, can have benefits that will let you get much more casino entertainment for your money. Online casinos invest a lot of time and money in creating bonuses that players love. Sometimes welcome offers will change over time, in terms of the amount of money offered and the conditions. Besides these welcome bonuses, online casinos also frequently offer players promotional bonuses that can also be very useful. So how can you stay on top of all these changes? Well, this site is here for exactly that purpose. All our casino reviews include a breakdown of the welcome bonus and the level of promotional activity offered by the casino. For special promotions, make sure you’re signed up to receive emails from the casinos you play at. Online casinos with mobile apps send updates about promotions to your phone so you’ll never have to miss an opportunity to score that boost to your bankroll. Probably the most common of bonuses, welcome bonuses (sometimes known as “sign-up bonuses”) are offered exclusively to new players at a casino to make the players feel at home and let them have fun playing with some extra cash. Welcome bonuses will often have wagering requirements, which will be explained later on. A deposit bonus is a bonus given to a player who has made a deposit. Most welcome bonuses are essentially deposit bonuses, but online casinos will often offer a variety of promotions throughout the year that will reward players for making additional deposits. Some online casinos offer players bonuses without asking them to make a deposit. While this may seem like fiction, this really does happen and it’s just a fun way for a casino to draw in new players and give them a taste of what the casino has to offer without asking them to pay. Obviously, you can’t just draw out the bonus money you’re given straight away. You will need to play with the money, and if you meet the wagering requirements, will be able to draw it. Some online casinos will reward you by recommending the casino to a friend. These “refer-a-friend” bonuses are pretty cool and will usually result in you and your friend receiving extra bonus cash. Refer-a-friend bonuses will appear on the promotions page of the casino you’re playing at. Online casinos will often run weekly or monthly bonus promotions. These are great for regular players. The bonuses will usually be in the form of match bonuses, free spins, or prizes. For casinos focusing on slots and roulette games, offering free spins is often used to pamper loyal players and get them to stay at the casino. Free spins are basically bonuses in the form of spins that let you play more using the casino’s money. Imagine getting a reward for winning! Some online casinos run slots and other tournaments with generous prize pools. Players will compete over a short period of time (usually a few days) and will be ranked anonymously on a leader board. The leading players at the end of the time window are rewarded with extra bonus cash. While this phrase is obviously used to attract players, in the world of onlince casino gaming “free money” usually refers to a certain type of bonus. Sometimes casinos will pay out free cash as a reward, but free money bonuses are usually awarded to players in the form of comp points which can be collected by players and used to bet at the casino. Reputable online casinos aim to take good care of their loyal players. Many casinos have unique VIP programs that will reward players based on their depositing behavior. While the most generous bonuses go to members who play more frequently and with larger amounts, VIP and high-roller bonuses can benefit loyal players from all levels of play. It’s a good idea to read up on the casino’s VIP program to make sure you’re getting the most for your deposits. Bonuses are meant to be enjoyed by players as extra spending money at the casino. Unfortunately, some people exploit these promotions resulting in the casinos installing various terms and conditions that make sure players aren’t just trying to collect bonus money. A wagering requirement asks that a player wager a certain amount to make sure the player isn’t just a bonus hunter. Wagering amounts differ greatly per casino and specify the amount you will need to bet before the bonus cash can be withdrawn. For example, let’s say you deposit C$100 and receive a match bonus of C$100. If the wagering requirements at the casino are set at “20 times”, you will need to wager C$2,000 at that casino. This means you will need to have placed C$2,000 worth of bets on the casino’s various games to cash out the bonus money. While this figure may seem quite substantial, remember that every slots spin of C$1 will count towards your wagering. And, that spin of C$1 will go towards your wagering requirements, whether it wins or not. Usually a casino will not credit all games equally towards wagering requirements. For example, at a certain casino, every dollar you spend on a slots game may count as a dollar of wagering. But at the same casino, only 50 cents of a dollar you bet at the roulette table will be counted towards your wagering. This might seem a bit confusing, but it isn’t really, once you get the hang of it. In general, slots games are considered at 100% when it comes to wagering, while table games like blackjack and roulette will only credit you a percentage of your bets towards your wagering goal. We recommend that you read the bonus terms and conditions at the casino website to see how that casino regards wagering on different games. This depends on the bonus terms of the casino you’re playing at. While some casinos will let you withdraw the bonus you’re given as cash, this is quite uncommon. The point of bonuses is to help you get more casino entertainment out of your deposit, and to give you extra chances to win. As we’ve stated many times in our various articles, reading the bonus terms and conditions is important if you’re a regular casino player. 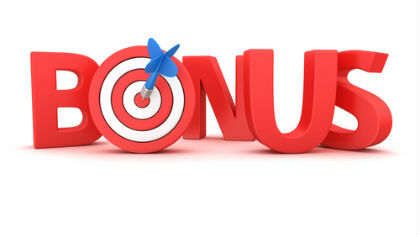 The size of the bonus is obviously a factor, but wagering requirements and other factors will make some bonuses suit certain players better than others. The casinos we cover all have very generous bonuses with fair conditions. Read our reviews of recommended casinos for details about welcome bonuses and other promotions. That way, you can stay on top of your bonus game. The subject of online casino bonuses can sometimes be a tricky one. The rule of thumb that we continually try to remind our readers of on this site is: read the Terms and Conditions! While 2017 hasn’t seen any major changes in how bonuses are issued to players so far, it’s hard to keep track of all the casinos, all of the time. Also, keep in mind that bonuses can sometimes be regarded differently by online casinos for mobile devices and desktop play (who knows why). What we’re seeing in 2017 is a wide variety of different bonus plans. This really depends on the outlook of the casino you’re looking at. Some online casino rely on their welcome offers to really draw in the players. It follows that these casinos will have very impressive welcome bonuses, often reaching the $1,500 mark, and even beyond that. On the other hand, other online casinos will choose to put more into their loyalty programs, preferring to reward players with smaller bonuses and perks throughout the year. There’s no rule for which bonus is best since it depends on the type of player you are. These days online casino are fairly good about outlining how their bonuses work so it’s up to you to make sure you have all the facts. 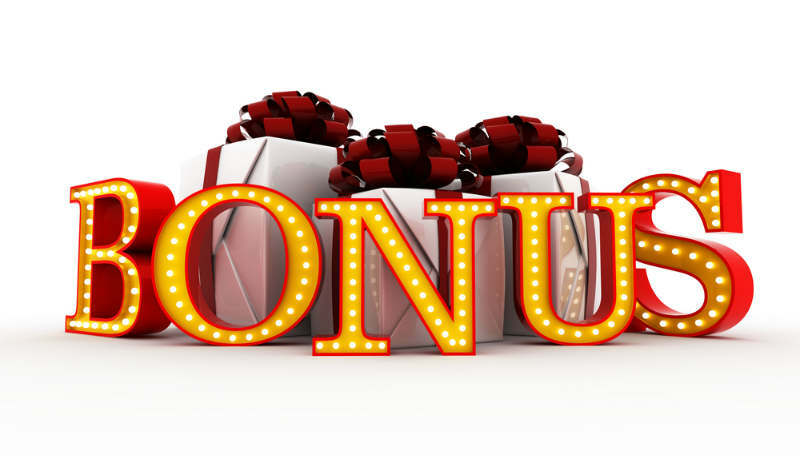 These can usually be found on the casino’s promotions page so take 5 minutes to read up on how the bonus works and what you need to do to earn that cash.